Milwaukee® Tools continue to expand its M12™ LITHIUM-ION system with the introduction of the M12™ ¼” Hex Right Angle Impact Driver. Delivering innovative solutions for professional users, the new tool features a 1.4” head diameter for the superior access in close quarters and rapid driving speed at 2,425 RPM. 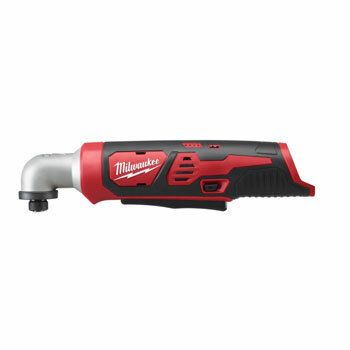 Featuring a Milwaukee® designed impact mechanism, the new tool delivers 68 Nm of torque for fast, reactionless fastening. For maximum versatility, the impact is designed with an extended paddle switch so that the user can operate it from multiple grip points, and has a recessed forward/reverse switch to minimise accidental actuations. To protect the user’s work surface, the tool also features a non-marring rubber ring around the head. The new tools are compatible with the entire M12™ System and offer innovative solutions in power, productivity, and portability.